Hospital Bed Storage | Donnegan Systems Inc.
Hospital bed storage solutions that not only keep beds off of the floor, but also help to optimize procedures, increases flexibility, and lowers costs. This hospital bed storage rack will increase the hospitals maintenance departments’ capacity, organization, and product flow reducing down time, which increases the number of beds available for patient use at any given moment. 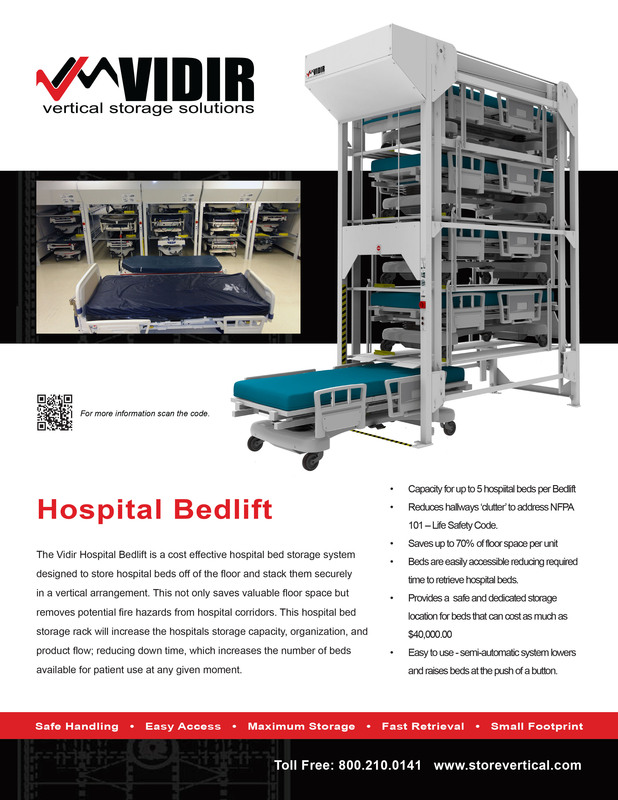 This vertical bed lift is a cost effective hospital bed storage system designed to store beds off of the floor by stacking them securely in a vertical arrangement. This system helps saves valuable floor space as well as removes potential fire hazards from the hospital corridor. Additionally, by removing unused ‘hallway beds’ from the corridors, hospitals will meet JCAHO standards for the storage of hospital beds and not risk further fines or worst case, the loss of accreditation. Hospital bed storage can take up a lot of space, saving room on the floor by stacking beds vertically can save employees a lot of time and effort. 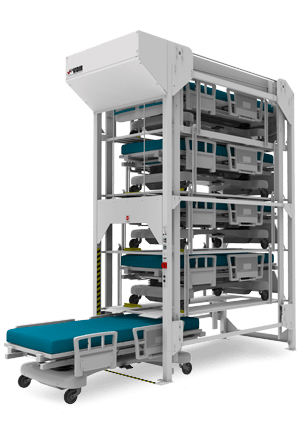 The stacking concept for hospital bed storage is based on LIFO picking, the first bed is positioned onto the lift and raised opening up space underneath the bed for the next unit. The entire operation can easily be accomplished by a single individual simply by pushing a button. 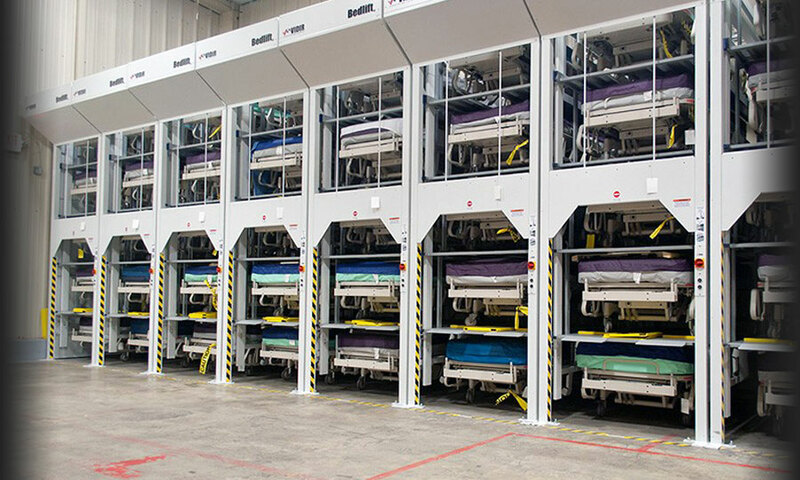 This hospital bed storage system will increase hospital maintenance departments’ capacity, organization, and product flow by vertically stacking beds and securely storing them off of the floor.